Decided to finish another abandoned old piece. Still not too confident in painting without lines, but I'll get there eventually. 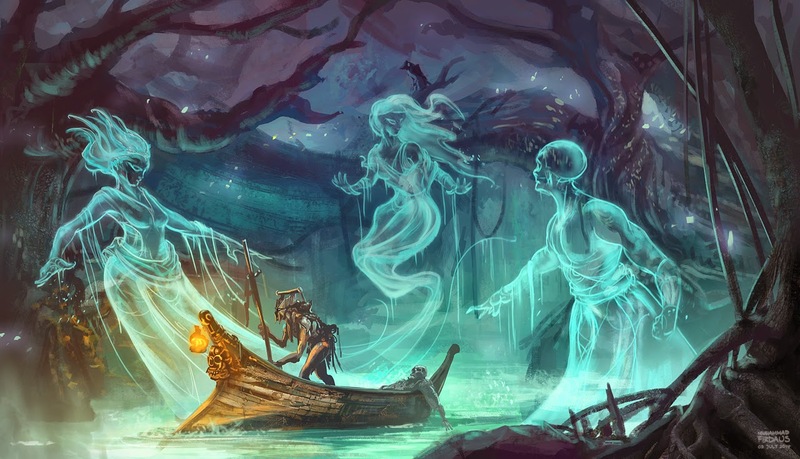 Also I realize I don't do enough fantasy-themed stuff, so here's Charon rowing his customer down the River Styx while all these ghostly figures rise up from the unearthly waters. At least, that's what I was thinking in my head. Moving on!